Tonight at 11PM EDT/8PM PDT Queens will perform from LA’s Wiltern Theater for NPR Music’s First Listen Live. You can watch the performance live at NPR or at the newly relaunched QOTSA.com. The show will feature the band performing the new album …Like Clockwork – out June 3(UK)/4(US) – live in its entirety. What else can I possibly say. Don’t miss this. to celebrate the “My God Is The Sun” on the service. Life = good. Thursday night (May 23) at 11pm eastern (8pm pacific) at LA’s Wiltern, Queens of the Stone Age will perform the upcoming ‘…Like Clockwork’ album in its entirety, followed by a selection of older material. The show sold out instantly, but via the auspices of NPR’s First Listen, you’ll get to watch it from the safety of your own home. …Like Clockwork is out June 4 (June 3 in Europe) and is available for pre-order now. 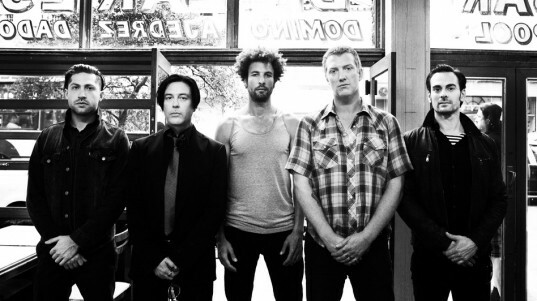 Following the cryptic surfacing of the likeclockwork.tv and its hazy semi-clues and last night’s Adult Swim ad, Queens Of The Stone Age have unveiled a trailer scored by three minutes of the never-before-heard “I Appear Missing,” which appears in its entirety on the band’s upcoming ‘… Like Clockwork’, out June 4 on Matador Records. … Like Clockwork was produced by Joshua Homme and QOTSA, recorded by Mark Rankinwith additional engineering by Justin Smith, at Josh’s studio, Pink Duck, in Burbank, California. 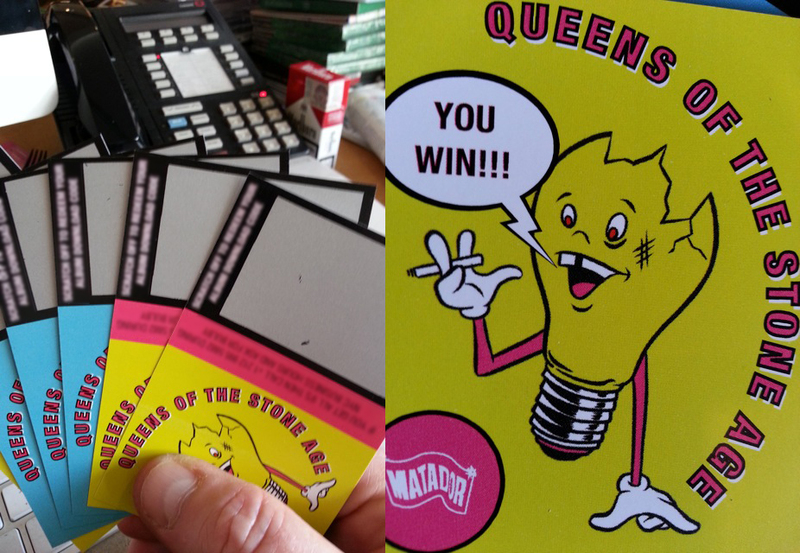 iTunes Pre-Order Begins April 8 at 12:00 a.m.
Queens Of The Stone Age has confirmed June 4 as the release date for its sixth studio album ‘… Like Clockwork’ on Matador Records. The band has also unveiled the new album’s stunning artwork by UK artist Boneface. … Like Clockwork’s release is preceded by first single “My God Is The Sun,” which received its recent live debut in Queens Of The Stone Age’s Lollapalooza Brazil set, and has just been unveiled via radio premieres, respectively, in the UK with Zane Lowe and in the U.S. on KROQ. ‘…. 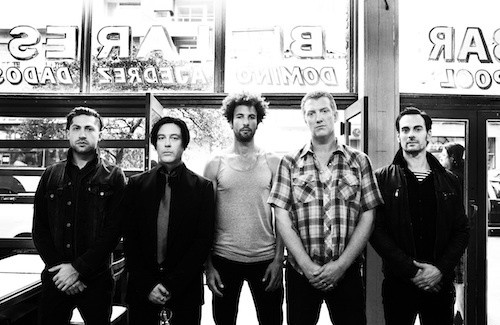 Like Clockwork’ was produced by Joshua Homme and QOTSA, recorded by Mark Rankin with additional engineering by Justin Smith, at Josh’s studio, Pink Duck, in Burbank, California.